The redesigned Porsche Cayenne is a sports car that answers by another name—an SUV. This five-seater will take you for the ride of your life with a new generation of efficient turbocharged 3.0L V6 engine with an automatic 8-speed Tiptronic S transmission in the base model. 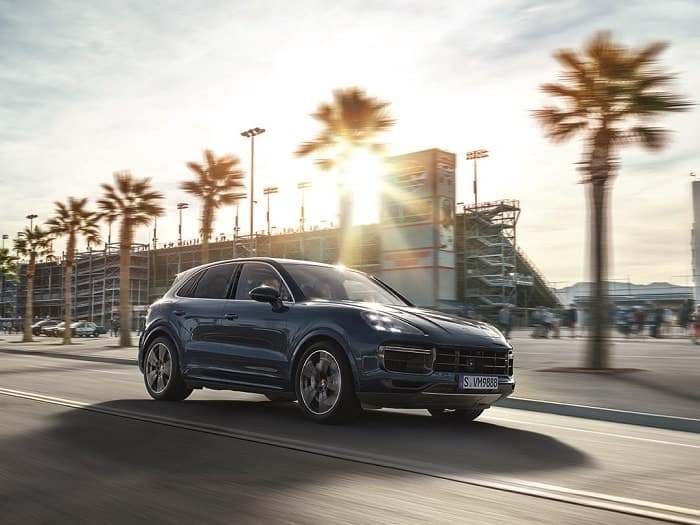 From the leisurely to the sporty to the environmentally conscious, there’s a Porsche Cayenne for everyone with four available models, including the Porsche Cayenne, Cayenne S, Cayenne Turbo, and Cayenne E-Hybrid. Come by Porsche Bend today at 1055 SE 3rd St. Bend, Oregon 97702 to test drive the Porsche Cayenne model that speaks to you and your lifestyle. 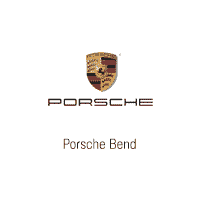 Our Bend Porsche dealership also serves the Eugene, Medford, and Roseburg areas. The new Porsche Cayenne has a variety of options to get everyone moving from the 2.9L twin-turbo V6 engine in the Cayenne S to the 4.0L twin-turbo V8 engine in the Cayenne Turbo. Aerodynamics are important with that kind of power so Porsche has included Porsche Active Aerodynamics (PAA), which actively manipulates the aerodynamic behavior of the car by controlling flaps integrated into the air intakes. This will improve the performance and gas mileage of your SUV. The new Porsche Cayenne isn’t built for just a smooth ride, it’s meant to have a nice feel, as well. The interior of the Porsche Cayenne is practically built around the driver and is completely driver-centric. In the dash, you’ll find Porsche Communication Management (PCM), which features a full-HD 12-inch touchscreen display complete with navigation. Everything you need is easily within reach. Porsche wants to make sure you get yourself and your passengers wherever you’re headed as safely as possible. With adaptive air suspension, Porsche Surface Coated Brake (PSCB), rear-axle steering, and Porsche Dynamic Chassis Control (PDCC), you’ll feel safe and comfortable on any Oregon road. Adaptive air suspension uses three-chamber technology to let you enjoy a combination of sporty and comfort as it is adjusted to suit any driving mode and situation. PSCB is a new benchmark in performance and design. A unique combination of cast-iron brake disc and a ceramic coating (tungsten carbide), presents a brake with a high fading stability and better responsiveness. Optional rear-axle steering works by steering the rear wheels in the opposite direction of the front wheels to enhances performance at low speeds. PDCC is an active roll stabilization system that monitors the side to side inclination of the body from cornering. This system also increases stability on uneven ground. You’ll feel confident that your Porsche Cayenne will provide a comfortable, safe ride every time you’re on the road. If you’re ready to check out the newly redesigned Porsche Cayenne for yourself, come down to Porsche Bend and take one of our new Porsche cars or SUVs for a test drive. We’re sure you’ll love the way you look in this sporty Porsche SUV.